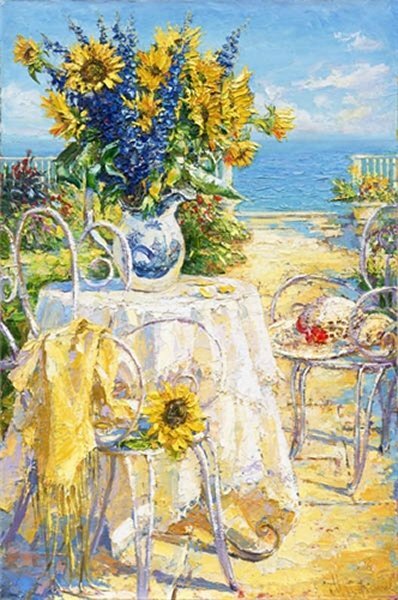 Sunflowers by Maria Sherbina ~ Working in her studio in Eastern Europe, Maria Sherbina has an amazing ability to see and paint scenes that make the viewer feel happy and serene. Each one is an "I really want to be there" painting. "Sunflowers" combines sunny yellows, pure, radiant whites and ocean blues - one of the most popular color combinations today.